Zombies are still cool, right? Even if they're not, Dead Trigger 2 could potentially tip the scales of trendiness in favor of the undead. The zombie shoot 'em up has been teased a few times, but now we've got a date. Madfinger Games will release Dead Trigger 2 on October 23 – just in time for Halloween. The game will be optimized for Tegra 4 devices like the Shield and just announced Tegra Note devices, but any modern Android device should be able to get in on the fun. There will still be lots of zombie shooting, but Dead Trigger 2 will be taking place in an expansive multiplayer world that develops in real time. Dead Trigger 2 will be a free to play title and should be released simultaneously on multiple platforms. We don't know how big the download will be, but it's a safe bet you should clear some space. Full PR below. 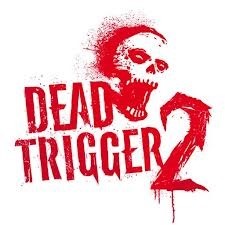 Tokyo, Japan – September 18, 2013 – Madfinger Games, creators of the blockbuster mobile games, Shadowgun and Dead Trigger, have revealed today that their anxiously awaited game, Dead Trigger 2 will be released on the 23rd of October 2013. On the eve of Tokyo Game Show 2013, together with the announcement of the official October 23rd release date for Dead Trigger 2, Madfinger Games has unleashed the very first intro video of the game. Dead Trigger 2 is a first person zombie shooter arcade game that delivers players to a parallel world, where humanity is engaged in a battle against zombies for control of the Earth. The reality of this worldwide apocalyptic conflict is underlined by the fact that the game is played out in real time. “This real time and never-ending story will be affected by the behavior of every single player,” explains Marek Rabas, CEO at Madfinger Games. With each following update, the action will shift to varying locations and continents with the concrete development influenced directly by the participation of players. The action will be global, players will fight against local zombies in Shanghai, London or in the middle of the desert far away in Africa. Dead Trigger 2 will be released in Free-to-play format for both iOS and Android devices, as well as on Steam, Mac and Facebook. Players can once again expect above-standard graphics, which remain as a given at Madfinger Games. 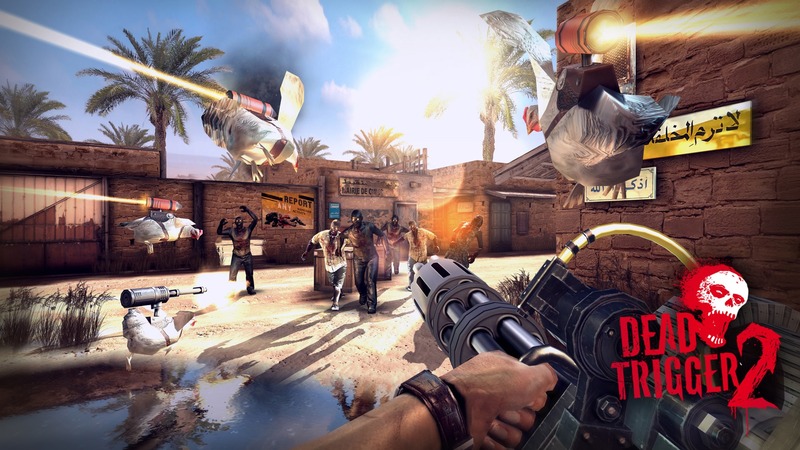 The developers of Dead Trigger 2 have introduced enhanced graphic effects which will again push forward the boundaries of graphics on mobile devices. “You’ll be amazed at the Realistic Water Reflections, Dynamic Shadows, Dynamic Light Projectors and Dynamic Grass,“ promises Pavel Cizek, Project Leader and Graphic Artist at Madfinger Games. Dead Trigger 2 graphics also include Per-pixel Lighting and Advanced Ragdoll Physics. The first game in the Dead Trigger series was released in summer 2012. It has since become a massive favorite within the gaming community, with more than 22M downloads on both App Store and Google Play. It has been met with significant acclaim, among other awards, it was selected for inclusion in the App Store Best of 2012, featured in the Apple “Hall Of Fame“ and won Best Technical Achievement and Community Choice at the Unite 2012: Unity Awards.